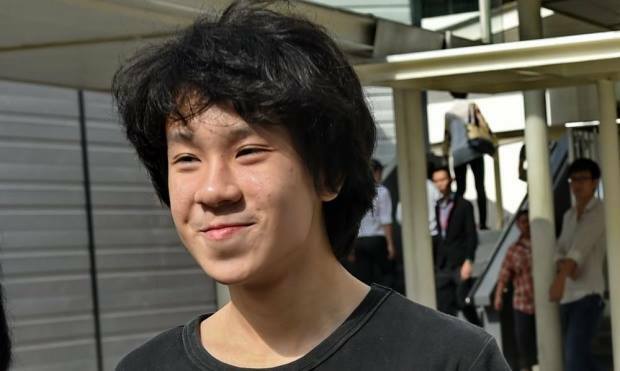 A 16-year-old Singaporean video blogger named Amos Yee was arrested in March 2015 after he uploaded a YouTube video and a blog article criticizing Lee Kuan Yew, the founding Prime Minister of Singapore. During his public hearing in May 2015, the judge ruled that Yee be remanded for three weeks to assess his mental and physical suitability for reformative training. On June 23 the court found Yee mentally and physically fit to undergo reformative training. In addition, a psychiatric assessment suggested that Yee may be suffering from autism spectrum disorder, and the judge ruled that Yee to be remanded for another two weeks to assess his suitability for a Mandatory Treatment Order (MTO). However, some people have serious concerns about the MTO being applied to people with mental illness, arguing that it can be disruptive to a person's progress. Autism spectrum disorder is characterized by deficits in social communication and social interaction and restricted, repetitive patterns of behaviors and interests. Although there is no proven cure yet for autism, some medical care may help reduce their symptoms. For example, some medications are approved by US Food and Drug Administration to reduce irritability in children with autism. If the court decides that Yee must undergo MTO, it is not known what kind of ‘treatment’ the teen will receive. Yee’s father said that Yee had not been assessed for autism. Online commenters suggested that Yee might be autistic earlier this year, though these comments were based chiefly on local media reports about Yee, rather than actual interactions with the teen. His lack of social skills is demonstrated by releasing the video at the time other people are mourning the passing of a former prime minister. He lacks empathy. His repetitive behaviour of walking and eating his banana [are] another indicator. His lack of social development is clearly seen when he was slapped. A normal person would have looked at the assailant, but he just nurse his pain and walks away without making eye contact. All three symptoms taken together shows sign of autism. These and other similar comments reflected common stigmas surrounding autism and other forms of mental illness in Singapore. Amos Yee, as a teenager, is as normal as they come. They chafe at authority, will always look for wriggle room and bargaining leverage, have a sharp instinct for pointing out adult contradictions and hypocrisies. When a brat acts up—and of course Amos can be taunting and bratty—the best thing that you can do is to ignore him and let him exhaust himself. But no, some people decided to get all sanctimonious[…] the people who filed those police reports, the 8 policemen who arrested Amos at his house, the AGC, the man who smacked Amos[…]—all of you look so violent, hysterical, foolish and feeble. In trying to solve a ‘problem’ like Amos Yee you've only ended up displaying your own problems and neuroses–your pettiness, your cruelty, your beastliness, your insecurity–in all their garish detail.